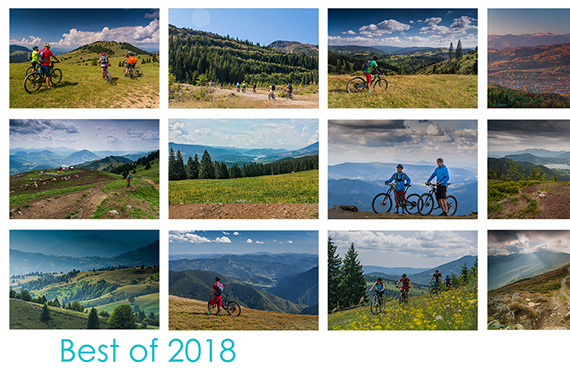 END OF SEASON Carpathians mtb tour. 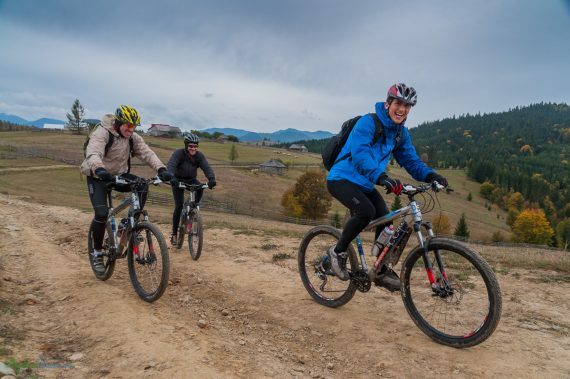 Enjoy our Carpathians mtb tour from the remote areas of medieval Transylvania to the picturesque region of wild and archaic Bucovina. 7 days with everything included, in a magical place in the north of Romania. 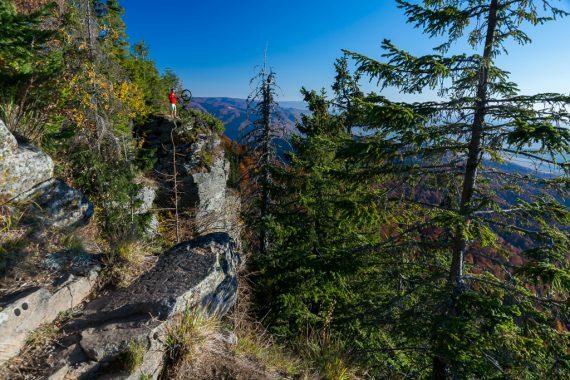 This area of the Carpathians, is one of the last places in Europe where you can still find lost in time villages, with ancient traditions and wild nature that retains its original beauty. 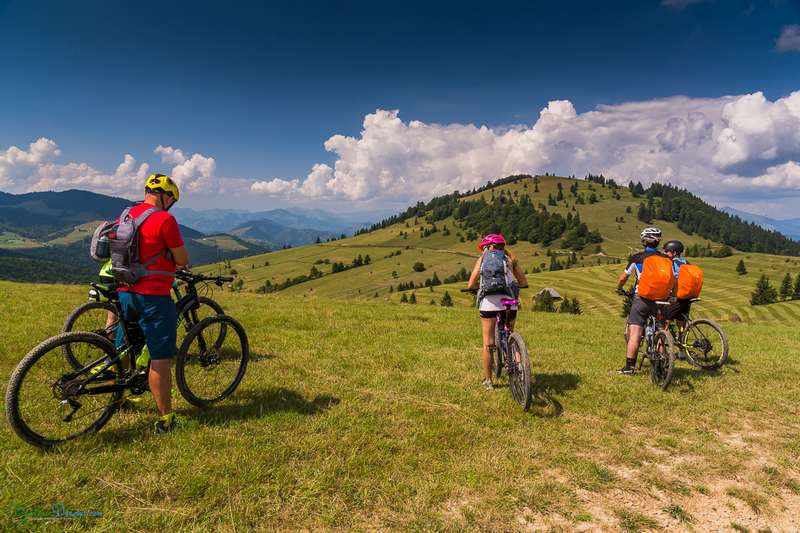 This mountain bike tour is based on our well-known “MOUNTAIN BIKE TOUR IN THE NORTH OF TRANSYLVANIA” with a few modifications. The last three days will be spent in one of our Bike Camps where you will have the chance to attend to our riding sessions and workshop for improving your mountain biking technique . The end o September and beginning of October is the mating time for red deers. The howling of the Carpathian stags is a one of a kind experience and one of the few chances to see this beauties in to the wild. You will also have the opportunity to deepen the cultural exchange by sharing a few days with the local riders. The meeting point is September 25 at 12:00 at the Cluj International Airport from where we will transfer to the first accommodation. In case the flights do not arrive before 12:00 we recommend to travel a day before and stay overnight in Cluj, we will advise you with reservations, means of transport, etc. After crossing part of Transilvania by van, we will enter the Carpathian Mountains, to reach the Borgo pass where we will stay at the Dracula Cstle Hotel and visit a nearby monastery with great views over the surroundings. Starting at 1100m altitude, we will head towards Bucovina, crossing the typical wild forests of the north of the Carpathians to reach our second accommodation: LA BELLA VISTA, a luxurious rural accommodation where we can enjoy a comfortable stay, surrounded by beautiful landscape. 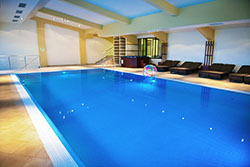 There is also a spa at the location. 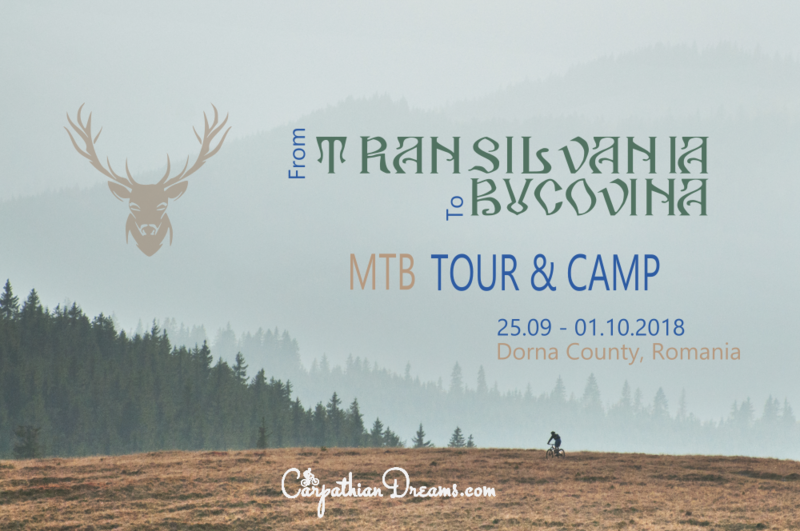 Today we will cross Bucovina to enter a remote and rural area of the Carpathians and we will arrive at Popasul Hunea where we will spend the last three nights enjoying a relaxed atmosphere and traditional cuisine while participating in the bike camp where we will share the trails with a group of local riders who are attending the event. 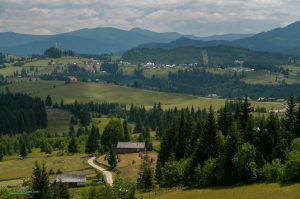 Undoubtedly Bucovina is one of the most picturesque areas of Romania and there is no better way to get to know it than on a bike trip. In these three days that we have left, we will share the trip with local riders who participate in one of our Bike Camps. In our Bike Camps we teach theoretical and practical lessons on riding techniques adapted to all levels. After a traditional breakfast and a time to do the digestion, we will do a theoretical explanation of the theme of the day and practice about 45 minutes in a circuit designed to improve our skills on the bike. Then we will do a round ride in which we will all leave together and have two choices, short and longer, to adapt to the different levels of the participants. During the ride we will take advantage to apply the knowledge acquired in different real situations. Transfer to Cluj and sightseeing. Depending on the program of flights of the participants we can take a visit to the city. 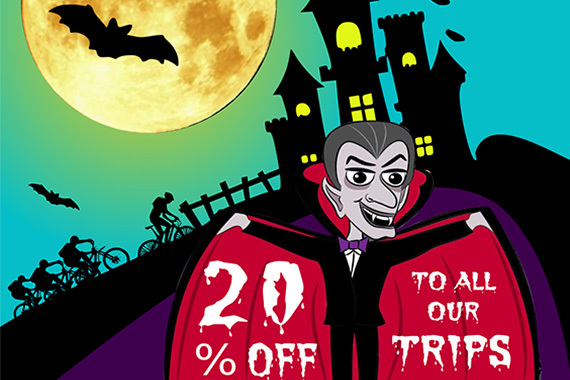 PRICE mtb in the Carpathians: 999 € All inclusive except meals in Cluj. When booking for the tour a confirmation deposit of € 300 will be paid. The rest of the payment will be made on the day of arrival. You can pay with transfer or paypal. Attendees must certify that they are in possession of insurance that covers risk activities. We can recommend one. The airport for picking-up the attendees is the Cluj-Napoca International Airport on September 25th at 12.00 at noon. If you can not manage to arrive until this hour we recommend you to do it one day earlier, on 24th. Cluj it is a vibrant city with plenty to see. The transfer back to Cluj will be on monday, October 1st. We will arrive in Cluj at aprox 2pm, so depending on your flight back we can do a city walk. Before making the reservation of the trip we will advise you personally to choose the best option depending on each particular case. Please confirm attendance 5 days before departure, as well as the place and time of presentation. Flight schedules may change due to criteria of the airline. We will ride daily for 5 to 7 hours. We will ride on forestry roads, earth, grass and gravel paths and trails. 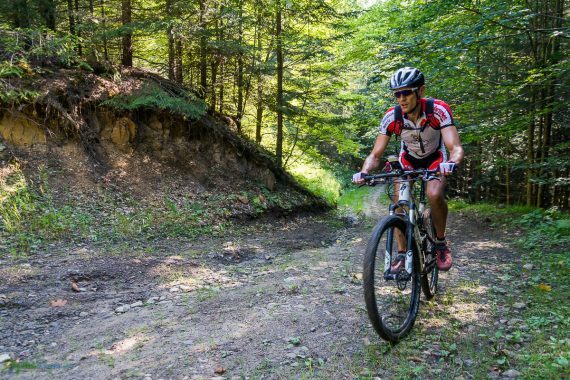 There are no very technical areas, but it is possible to encounter some short sections of steep downhill or climbings where it might be necessary to push the bike. Physical level: medium. A state of form is required that allows to ride routes of average level during several days, there will be demanding climbs and sections of steep slopes. The daily climbings have an average of +1000m. A valid passport or ID is required for the entire duration of the trip. We also recommend that you bring a photocopy of your passport or ID (both sides) stored in a different place or have a copy in the cloud. The Romanian currency is the Leu. The change is approximately 4.5 Leu for one Euro. In Romania, as a member of the EU, it is easy to change Euro to Leu. No type of vaccine is required. MEDICINES: It is only necessary the specific medicines of the treatments that each one follows, the rest of the basic kit is provided by us. During the summer, the weather in Romania can be warm to hot, with short periods of cold and rainy days and summer storms with lightnings and thunders during the afternoon. Temperatures in summer can vary from 5 degrees Celsius in the morning to 35 degrees at noon. • Small bike backpack (approx 15 liters), suitcase to transfer your things from one place to another or backpack of 30l, 2 or more t-shirts, 2 or more bike pants, underwear, socks, gloves, bike shoes, helmet, glasses, jacket, demi-season gloves. Romania’s mountains are considered to be one of the last wild places in Europe beeing home of more than half of Europe’s large carnivores like bears and wolves. 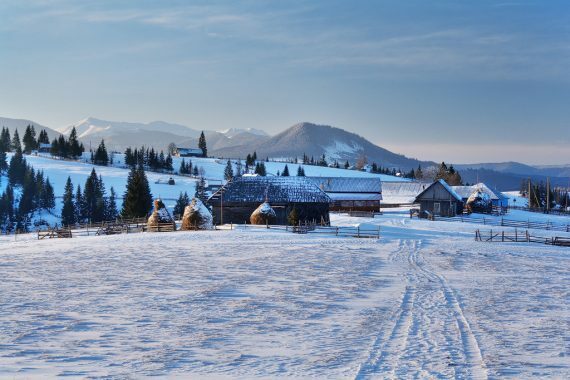 With almost half of its population living in the countryside, Romania and its villages is the place where you can still experience the rural lifestyle, in its true sense, witnessing ancient old traditions and customs, wich are extinct in other parts of Europe. People are still working and living from the land, using their own hands and animals for this. They still use horse drawn carts for carrying stuff and colecting hay in the old ways. The best moment to visit the wild and archaic Romania was 20 years ago, the second one is NOW !! !